Emperor Maximilian I Habsburg was born in Wiener Neustadt. Through his successful marriage policy, the Habsburgs managed to unite the territories of Austria, Spain, the Netherlands, Belgium, southern Italy, and Hungary under their rule. Emperor Maximilian I Habsburg was born on this day in 1459. He was one of the most important rulers in early modern Europe. 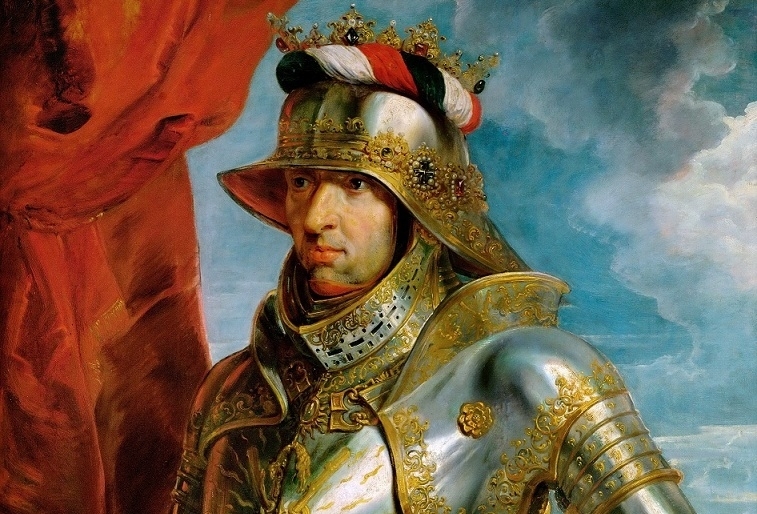 Namely, he transformed the Habsburg dynasty into a major European power, mostly through his skillful marriage policy. There exists a Latin proverb which describes this Austrian policy: „Bella gerant alii, tu felix Austria nube / Nam quae Mars aliis, dat tibi regna Venus.“ (Let others wage war, but thou, O happy Austria, marry; for those kingdoms which Mars gives to others, Venus gives to thee.). The first important marriage was the one between Maximilian and Mary of Burgundy – the wealthiest heiress in Europe at that time. Namely, she was the only daughter of Charles the Bold, Duke of Burgundy, and inherited six duchies, eight counties, and a margraviate. Thus, her estates encompassed a large part of what are now Belgium, the Netherlands, and Luxembourg as well as large parts of France. The next valuable marriage was the one between Maximilian’s son Philip the Fair and the heiress of the Spanish lands, the daughter of famed Catholic rulers Isabella of Castile and Ferdinand of Aragon (it was in their service that Christopher Columbus set forth on his voyage to America). Maximilian’s grandson Ferdinand married Anna of Jagiellon, thus securing the Hungarian throne. The mentioned marriages united the territories of what are now Austria, Spain, the Netherlands, Belgium, southern Italy and Hungary under the rule of the Habsburg dynasty. Maximilian also inherited the title of King of Germany and Holy Roman Emperor. Let us mention that he also started building up the power of the Habsburg dynasty in America.